After three years of having a dog-less house with the passing of our beloved Chocolate Lab Ruby, the Olsens are getting a new puppy. Part of me is still in denial, and part of me is apprehensive as to what we need to do to prepare for a new puppy, which is something that we had not had to do in about 13 years. So now that the purchase is done, it is time to ready the home for our newest member, prepare the prior residents (our cats) for invasion of another four-legged friend, and purchase the supplies and equipment needed for the puppy. We all know that puppies get into everything. So we will need to act like a forensic detective and get down on our hands and knees to look for things that a playful puppy might foresee as fun. Items like electrical cords should be tied out of reach. Dangerous products such as cleaning supplies and other items should be locked in a cabinet or placed out of reach. Any valuable items or family heirlooms need to be kept out of reach so they do not become your puppies new chew toy. Lastly, unless you want to be like Imelda Marcos and purchase a new pair of shoes each week, it is best to make sure your shoes are stored away in a closet and the door is secured. Puppies are always looking for their next meal, so garbage can be enticing to them. In order to prevent them getting into the trash, it is wise to have trash cans that have sealed lids. The puppy should not have free reign of the house, so you will need to have gates and barriers to keep him in his allowed space. This will also include a kennel for his nighttime bed, which I will talk about later in the article. No puppy will be an entirely indoor dog unless it is in a big city with little green space. So here in Madison County, Illinois, we will want to examine the outdoor area so that there are not any chemicals or poisonous plants that will entice the inquisitive puppy. Your new puppy may be the cutest thing that you have ever seen, but your neighbor may not have the same opinion. And they always say that a good fence makes good neighbors. So it may be important to make sure that you have one that doesn’t allow your pet to roam free. As I eluded in the last section, in my opinion, it is best to kennel train your pet. No, this is not seen as “doggie jail” to the pet, but as I explain to my clients, it is best to treat a kennel as it is their bedroom and their place of security. I recommend that you get a larger one as they get larger. It should start as one that is just big enough for them to sleep in. If it is too large, that will allow them to urinate and defecate in the kennel and may inhibit the potty training outside. I am not an advocate for “potty pads.” I feel that they are just condoning bad behavior by the puppy. The learning puppy will get confused by our laziness that more or less tells it that “they can go here but not there in the house.” To a puppy, this thinking may be problematic. Obviously we want food bowls as well as toys to keep it occupied when you can’t give it the attention it needs. With the toys, I recommend that they be they type that are indestructible like “Kong toys.” Avoid those that they can easily chew up and have the possibility of ingesting. A new owner will want to have a collar and a leash. When you take your pet out on walks, it will be necessary to have these to protect your pet from injury by other pets or getting ran over by a vehicle. Grooming brushes are important to have especially with those puppies that will have long wooly coats. They will need to be brushed frequently to prevent matting and tangling. I am not a big proponent of treats, but they would be alright to have on hand, but I caution the owner to use them in moderation. The big day to bring the puppy into your household is here, so what should you do? Many people erroneously allow their new puppy to roam free and explore the house. This is sensory overload. Too many new places, new smells and people at once may confuse him. Instead, let him explore a designated area, perhaps where his food and water are. Or he can acclimate himself to a small puppy-proofed space where his kennel is. Then introduce him to the rest of the house one room at a time, skipping the areas that you want off-limits to him. It is best to introduce your new puppy to its’ new owners one at a time. I know that they are cute and cuddly, and everyone wants to meet him, but that can create too much excitement for the puppy and may stress the puppy out. So it is best to let him meet each family member quietly and make it rewarding and pleasant. As previously mentioned, puppies love to chew, so make sure that he has a safe chew toy. If he starts to chew on anything else, redirect him to the chew toy. It is important that your new puppy know where its’ sleeping quarters are. Puppies sleep between 15-20 hours a day, and likely they will drop in their tracks. It is important to take him to his crate when he seems to be ready to nap and at bedtime. Contrary to what most people think, this is not “doggie jail” as the puppy will associate this as a safe and secure place. House training starts on day one. Your puppy needs to know exactly where you expect him to do his business. Prevent accidents by monitoring the puppy and take him outside accordingly. This helps him to learn where not to go. Accidents happen, but don’t scold the puppy. Clean up the accident with an enzymatic cleaner. Teaching your new puppy basic behaviors like watch me, sit, or down are important. With positive reinforcement based training, you can encourage good manners in very young puppies. Obedience training for your new puppy is always important. It will teach basic manners that can lead to all kinds of fun dog activities and provide socialization with other dogs and humans. In a few weeks, I will be reliving the excitement that our family experienced 13 years ago. Getting a new puppy can be an exciting and stressful time in any household. It teaches our children to be responsible and committed. So if you need advice or any tips in preparing for the new family member, please do not hesitate to contact or call the Olsen Veterinary Clinic at 618-656-5868. 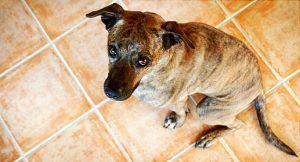 When your house-trained dog starts having accidents inside of the house, it can be very frustrating. You may be wondering why. Fortunately, this issue can be fairly easy to fix once you determine what is causing it. Your dog may suddenly start having accidents in the house if their normal outside environment is overstimulating or distracting. Dogs get distracted by new smells, pets, etc. which can cause them to forget that they need to go to the bathroom. To fix this, you should make a routine for your dog to go to the bathroom before they get to play. Avoid talking and interacting with your dog when he is sent outside. If you play with your dog, only do so after he has gone to the bathroom. Sticking to this schedule can eliminate the indoor accidents associated with overstimulation. Other causes of indoor accidents can include fear and anxiety. If your dog is scared of something in the normal outdoor environment, your dog may not feel comfortable enough to go outdoors. To deal with fear related indoor accidents, you can take your dog outside when it is quiet (e.g. avoiding large trucks driving down the street). If you have recently rescued a fearful dog, it might be best to temporarily train them to use pads inside until they have adjusted to the new environment. Similarly, changes in schedule can cause indoor accidents. These can include new pets and family members being around the house. Dogs are creatures of habits and changes in their lives can disrupt their schedule. Puppies tend to use the bathroom a few minutes after eating, drinking, playing, or napping while adult dogs tend to go early in the morning, mid-day, early evening, and right before bed. To deal with this issue, keep dogs on a very consistent schedule including feeding times and bathroom times. If you keep this schedule consistent, you will likely see an improvement right away. A poor diet can also cause indoor accidents. Feeding cheap foods from your supermarket may yield more frequent and bulkier bowel movements. For this reason, a premium dog food is preferable since more nutrients are absorbed and hence less waste is produced. This means smaller stools and on a less-frequent basis. To reduce the amount of waste your dog produces and lessen the number of indoor accidents, feed your dog homemade food (recipes can be found online) or high-quality foods. As a rule of thumb, feed your dog natural or organic brands when possible. When adopting puppies and if they are over eight and a half weeks old, they have a substrate preference. This means that they have a preference to the surface that they like to go to the bathroom on. 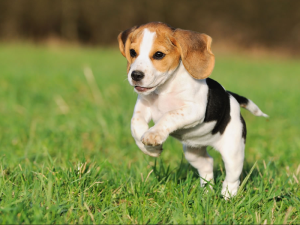 If a puppy was trained to use pads instead of grass, it will be a difficult transition for them to start using grass immediately. The dogs may hold it until they find a surface that they like which could be your carpet. Some possible medical causes to indoor accidents range from kidney issues to dietary problems. If your dog was reliably housetrained in the past and recently began having accidents, it is best to bring your dog to set up an appointment to accurately diagnose and treat your pet. Simply enough, your dog might be old, or they might be inside for too long. You should not scold your well-trained dog for soiling in the house when they are inside for too long. Lastly, dogs have a natural instinct to relieve themselves where they have done it before. Your dog can smell their own accident and acknowledge it as an acceptable bathroom area. Deep cleaning can relieve the issues associated with this. If you ever have any questions, feel free to contact Dr. Olsen at Olsen Veterinary Clinic, available to be reached at 618-656-5868. The month of February is reserved to spotlight a dog breed. Most of the time, I try to shed some light on a breed that isn’t very popular. Well this month is no exception as I am featuring a dog that is not very popular, unique in its appearance, rich in history and really considers its only job as being a companion for its owner. That breed is the Lowchen, which is also known as the “Little Lion Dog”. The Lowchen is a small breed that generally stands about a foot tall but has an enormous heart. The coat is traditionally kept in a “lion clip” in which most of the hind quarters and tail are clipped down close to the skin. The overall effect is that of a mini lion with a full mane and plumed tail. This breed coat comes in many colors and color combinations. The breed has a long and somewhat controversial history. We know from works of art depicting images of small dogs in a very distinctive lion trim from the breed dated to the 16thcentury. The breed has been depicted throughout the centuries in paintings, drawings and tapestries from around the world. The controversy arises as to the exact origin of the breed. There are several theories of debate with one thinking that the breed originated in Northern Europe which is now known as Germany, France and Belgium. Because it came from this area, the Lowchen is thought to be tied to the breeds that were the forerunner to the modern day poodle. The stories go that they were a favorite companion for the ladies of the castles and they would lay close to their owners at night to keep them warm like a water bottle, as well as attract the fleas away from the owner. Another theory is that the Lowchen originated in the Mediterranean region and are directly related to the Bichon breeds. Also there are some theories that the breed might have originated in Russia or Tibet. The Lowchen has been a resident of all households through the ages, from castles to farmyards and cottages. Aside from the function of being a companion, they possibly were varmint hunters and fierce little guards. There is a story from the late 1700’s about a Lowchen whose name was Bijou. As the story goes, Bijou was so upset that his owner was leaving him behind, he jumped out of a castle window into the Lahn River that was 60 feet below. One ending has him surviving and was rewarded by riding to the hunt in the owner’s saddle, the other that the jump ended in disaster. Whichever the outcome, his portrait from 1787 still hangs in the Baronesses’ bedroom in Wellburg Castle. Little has been written about this breeds early years. The first record of a breeder and fancier was Dr. Walthier in Germany in the 1800’s. The breed standard was written in the 1800’s and in 1897, a Madame Madelaine Bennert purchased her first Lowchen. She is the one who would be recognized for her efforts in saving the disappearing breed. In 1999, the Lowchen was admitted into the AKC in the Non-Sporting group. The Lowchen is a small breed that weighs about 15 pounds and has a life expectancy or about 13-15 years. It is a very loving dog whose sole purpose is giving love and hoping to get loved in return. It might see a squirrel, chase it and catch it, but it would not know what to do with it if it did catch it. It will bark at strangers, but then when they enter, the Lowchen will lick them to death. The Lowchen’s favorite spot to be is on the couch watching out the window. Don’t mistake the breeds sweetness, because it is a true lion that will stand up to any German Shepherd and bark down a Great Dane. They are active, smart, and love children. They can make very good agility dogs because they are trainable, resourceful and very adaptable. Since they like to bark, it is recommended that they undergo some obedience training. Due to their haircoat it is advisable that they be brushed regularly and see an experienced groomer monthly. 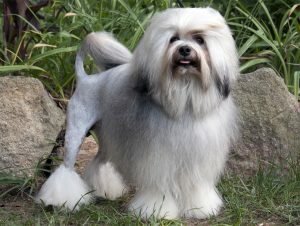 Another plus with this breed is that they are hypoallergenic. There are very few health problems with this breed. But they may suffer from patellar luxations, heart issues and some eye issues. Here at the Olsen Veterinary Clinic, we love to see all breeds. So if you have a Lowchen, or a mixed breed, gives us a call at (618)-656-5868 and we will be happy to assist you. 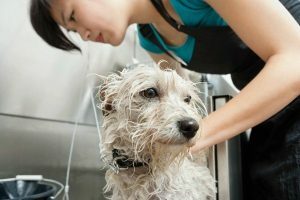 How Often Should I Bathe My Dog? We as humans bathe at least once daily. Right? So should pets get bathed daily also? This is one of the questions that we get from pet owners regarding their four-legged family member. Generally my answer to the question would be no, but there are many factors that go into determining the proper frequency. Obviously if your pet has been running and playing outside a lot and they are dirty and very odorous, then they possibly should be bathed. But why do we even bathe our pets? The easy answer is for its health. Without one, your dogs’ skin could get irritated and infected and its coat could get matted and hard. A dog’s breed, coat characteristics, and other variables play a factor in this. So how often do we bathe a dog? The top reason is when the smell. Easy rule of thumb is if it smells beyond just normal dog smell, it’s time for a bath. If you are unsure about the skin, I would recommend talking to experts in the field like your veterinarian or a professional groomer. They can help you understand what may be the best options for your pet. 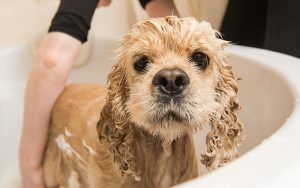 If your pet has skin issues, it may be prescribed a medical shampoo. As a dermatological professor told us—if it is wet, you want to dry it and if it is dry you will want to add moisture. Unfortunately, there is not one shampoo that will do both. As human’s have different hair and skin issues, so do dogs. Some breeds are double-coated breeds. These breeds like the Samoyed, Alaskan Malamute and the Chow Chow most likely will require less frequent bathing but more brushing to keep their coats healthy and clean. By contrast, a breed like the Bassett Hound has a more oily coat, so it may require more frequent bathings. Short haired breeds like Dalmatians and Weimaraners tend to require very few bathings as they can regulate their natural oils without much help. Now that we have determined factors that play into bathing your pet, what do we buy? First you will need a shampoo that will be appropriate for your pet as we have discussed previously. Secondly, some lukewarm water. Hot water can burn your pets skin and dry it out. Rule of thumb– the cooler the better. A good brush is good to have on hand. Prior to bathing it is best to comb out your pet and shed any dead hair. By combing agains the coat, you can prevent mats and help spread out your pet’s natural oils. Be sure that you have towels on hand to wipe them dry. I do not recommend using a blow dryer as the heat will dry out the skin. There are also dry shampoos out there that you can use to spray them down with and wipe it off without having to bathe them to preserve the natural oils. So you are still confused about bathing your pet? Remember that we are always here to assist you, so please don’t hesitate to call us at (618)-656-5868. Christmas is a time for giving, so why not give something to that family member that is there for you unconditionally. No I am not talking about your spouse or children—I am talking about your pet. Throughout the year, I make note of items or websites that can offer quality and safe products for your furrbaby. 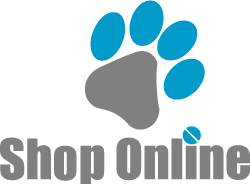 While most are websites that have quality products, I have included a few toys that may be attractive to you and your pet. Petsafe Busy Buddy dog toys – There are many toys made by this company including the Nobbly Nubbly Dog Toy. This company makes playtime with your pet last longer by dispensing treats as your pet plays. The toys are designed for specific purposes or specific kinds of play. Bumble Ball Motorized Dog Toy – This toy is a “blast-from-the-past”. It is a retro toy brought back from the early 1990’s. Your pets go crazy trying to catch the bumpy ball. Pets are entertained with unpredictable jumps, shakes, wiggles and bumbles. This is not a chew toy and is not recommended for aggressive dogs. Barkbox.com– Who doesn’t like to receive packages in the mail. Your pet will. This is a company that sends out boxes monthly for your pet that is similar to the fruit of the month subscriptions but it is for your pet. You can order a 6 or 12 month plan so that every month you will receive a box that contains 2 toys that are not fuzzy, 2 full bags of treats, and 2 meaty chew treats. The costs for the boxes start at $29, but you will get over a $45 value in each box. Meowingtons.com –For the cat fanciers that are trying to find the purrfect gift for the cat lover or their pet. The company has a selection of items for the owner and pet toys to keep the cat active or looking cute. Pet DNA testing –There are many companies out there, but these tests are available for both cats and dogs. By knowing the breed makeup of your pet, you can get an idea of what issues might be forthcoming to your pet due to its breed. Tipsyelves.com– Ooh, baby it is cold outside. We can’t let our fur babies go outside without them being protected from the elements this holiday season. So why not get them a festive sweater to help make them look dapper and in the holiday spirit. These are quality products that come in a number of different styles. At this time, I would like to thank all of my clients for making 2018 a prosperous year and wish each and every one of you a joyous holiday season. If you have any questions please do not hesitate to contact us or give us a call at 656-5868. You are about to experience the trip of a lifetime, but there is only one problem. You have a pet that is very unruly and it is hard to leave it behind because all your friends and family scatter when asked to take care of it. Have you ever had that scenario? I am sure a few of the readers have. So what options are out there that will give you piece of mind that your pet will be taken care of? Consider taking your pet to a friend or family member that has pets, but make sure they are accustomed to each other. Friends that are also pet owners are very likely to be able to handle a pet that is a handful. Another solution may be to hire a pet sitter that will stay in your home 24/7. That way your pet will not need to leave your house and can retain their comfort and schedule in your own home. Professional pet sitters are typically well equipped to handle pets that are rambunctious. A not so new trend is the dog kennels. Marketing has kindly changed their names to pet hotels. Your pet may actually enjoy it. A lot of them offer daycare also, so you may consider taking them for daycare or a weekend prior to you leaving. If they enjoy it, then you may feel better about leaving them there. Some also have pet cams so that you may be able to check in on them anytime day or night. Make sure you bring your pet in before going, as most establishments require your pet be up to date on vaccinations. Lastly, a refresher obedience class can be a good idea. Positive-reinforcement or private classes make work best. With the upcoming holiday season, our readers may happen to have this situation. The Olsen Veterinary Clinic can offer advice to our clients and give them some options that are out there. Please call the office at (618)-656-5868 for questions or comments. Dogs are considered “man’s best friend.” But what do you get when you don’t have room or time for a dog? How about a cat that thinks it’s a dog? The breed of cat that I am spotlighting this month has been described as that. It is called the Pixie-Bob. The Pixie-Bob breed is thought to be the result of the natural mating between a bobcat and a domestic shorthair, but they may also have sprung from a natural genetic mutation that gave them their wild look and bobbed tail. It is one of those mysteries that no one will ever know for sure. 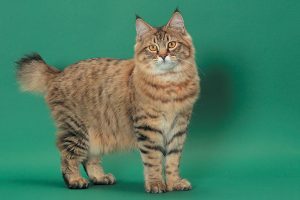 This breed was first developed in the Pacific Northwest in the mid 1980’s by a woman that acquired a male kitten with distinctive characteristics like a spotted coat, a short tail and more than usual numbers of toes. A year later, she acquired another male cat with a short tail and with the help of a neighbor’s female cat, produced a litter of kittens. One, a female, had a muted spotted pattern and the woman kept her—naming her Pixie. The breeder wanted more cats like Pixie, and soon the breed was born. They were recognized as an actual breed by the American Cat Fanciers Association in 2005. Pixie-Bobs are described as “big, lively and outgoing.” The breeds’ devotion to its family belies its somewhat wild look. They tend to be a large cat where the male and female can weigh up to 12 and 25 pounds respectively. They are brawny and muscular which is why some breeders believe that the Coastal Red Bobcat had to be the founding father. Their ears tend to be tufted and resemble that of a bobcat by having lynx tips on the ears. Pixie-Bobs have a thick wooly coat like a bobcat and can be either long or short haired. They normally have a striped coat pattern and come in a variety of colors, but most are tawny, light gray, or reddish. Their eye color can be from golden brown to gooseberry green. A Pixie-Bob’s tail is a minimum of 2 inches by can be as long as to their hock. Their facial hair grows downward giving them the appearance of a man’s muttonchop sideburns. One other unique feature that some Pixie-Bobs have are that some are polydactyl. This means that they have more than the usual number of digits on its paws. Polydactyl cats are considered lucky, so if you own a Pixie-Bob, luck may be on your side. Pixie-Bobs are inquisitive and like to interact with families, so they are true companions and members of the family because of their relaxed attitude. They communicate with their families with a pleasant voice and standard meows and purrs. They are active and enjoy being friends. They enjoy interaction with families and have been described by some as “the cat that thinks it is a dog.” Pixie-Bobs love going on car rides and walks just like dogs. They also get along well with dogs and other pets. Because they tend to be a medium to long haired breed, they do require a weekly brushing to prevent mattes from forming and regular nail trims. If you have a Pixie-Bob cat or even a good ol’ domestic shorthair, the Olsen Veterinary Clinic tries to meet the expectations for all of your pet’s needs. If you have any questions or issues please do not hesitate to call us at (618)-656-5868. Everything gets older, including our pets. Sometimes this can lead to arthritic pain in their joints. Depending on the breed and size, arthritic changes can occur at an early age or later in life. No matter when symptoms start occurring, we as owners want to limit the pain and slow down the progression of the arthritic changes so that our pets can have a long, relatively pain-free life. The joints maintain their ability to function because of the joint fluid that is produced by the cartilage that lines the joints. If the cartilage is damaged, it heals and repairs itself, but it is replaced by bone. And bone does not secrete joint fluid. So as the bone is replacing the joint cartilage, there is less joint fluid. With less joint fluid, there is more pain. So when we get to the point where there is arthritic changes, what can we do to ease the pain and maintain relatively pain free function? There are many options for us to explore that will aid in slowing the progression of the arthritic changes which might range from supplements to surgical replacements or procedures. Sometimes a supplement like glucosamine can help by reducing the inflammation of the cartilage of the joint. This product is relatively inexpensive and is available at pet stores along with being supplemented in the pet’s food. A product that I use called Adequan also assists the joints by slowing the breakdown of the joint fluid to provide better viscosity and lubrication. 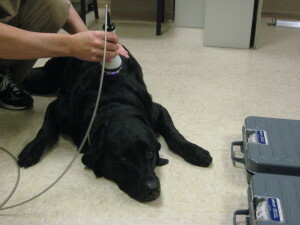 Here at Olsen Veterinary Clinic, I routinely will use a therapeutic laser to aid in the reduction of inflammation and pain in the joints. I have found that it can benefit the pet. A lot of times, we will prescribe a nonsteroidal anti-inflammatory like Deramax or Previcox that will reduce the inflammation in the joints and ease the pain that the arthritic disease causes. There are numerous NSAID’s out there that we use with some being once or twice daily dosing. Recently, medical and surgical procedures have been developed that can assist your pet with arthritis. These may include Stem Cell Therapy, joint replacement, or other procedures that will alter the joint itself for better pain free articulation. Arthritis in pets is very common and we have many options at our disposal that won’t break the bank for the owners. Please give us a call at 618-656-5868 or contact us here for some options that may be available for you and your pet. Dogs seem to get into ugly predicaments during the summer. If they like to wander, sometimes they may come back with that sticky tree sap that can cause debris like rocks or pine needles to stick to their paws. This can sometimes be quite painful and it leads to an owner figuring out how to remove the sap from your pet. 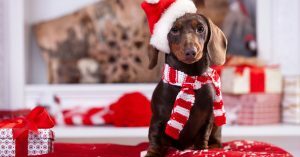 Some types of sap can be toxic if ingested or cause irritation if it comes in contact with your pet’s skin, so it is important to work quickly to remove it. Fortunately, removing tree sap is an easy process and can be done using common household items. Below are some steps that I recommend to remove sap from the fur. If the sap is hardened, it will need to be softened using a hair dryer set on its lowest setting. Test the dryer first with your hand to find a safe distance where the air feels warm but not hot. Loosen the sap by using olive oil, mineral oil, or smooth peanut butter. Massage the product onto the affected fur and let it sit a few minutes. It is important to only use products that are safe if ingested, since your pet may try to lick the oily substance off its fur. Use your fingers and a wide-tooth comb to carefully and slowly work the sap out of your pet’s fur. As you go, you can wipe some of the oily product and residue with a washcloth or paper towel. If there are stubborn patches near the tips of the hair, you can carefully trim them with a scissors, making sure to avoid cutting too close to the skin. Do a final cleanse with a pet friendly shampoo and warm water. You may need to shampoo the area more than once to get all of the oily product out. To remove sap from the feet, massage the area with the products listed above and them bathe them in a pet shampoo. 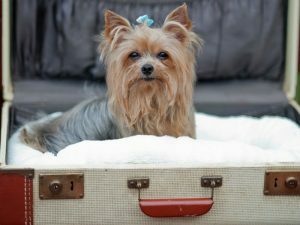 The stubborn areas of fur around the paws may need the assistance of a groomer if you do not feel comfortable with that area. As stated before, work quickly because that sap can cause some local irritation and digestive issues. If they experience symptoms like nausea, vomiting, weakness or irritation, seek your veterinarian as soon as possible. As many of you know, I usually write monthly blogs informing the readers about what we can do to make your pets’ lives better and happier. However this month, I am reversing the trend and writing about what pets do to make our lives better. It is a proven fact that pets can reduce anxieties that we have. To people with anxieties, pets can be like a superhero. Everyone has their own coping mechanisms that work for them, but sometimes having a pet can curb anxiety. By just having a pet present, even though it can’t talk, a person’s phobic and anxiety disorders are often reduced by the pets companionship. This relationship builds self confidence for people that are anxious when they go out in the world. With depression, people tend to self isolate. So with having a pet, people are forced to go out and walk. Pets are always down to cuddle. That contact can do wonders to curb anxiety. Maybe it makes you feel less alone or less like you have to handle everything by yourself. With this bonding, one gets a mutual relationship in which the pet and owner give warmth, love and nurturing. Research has also shown that tactile sensations can even lower blood pressure. Pets are always the ones that listen and don’t ever offer advice. As humans, sometimes we don’t want advice—we just want to vent. A pet will never try to fix you. You can sit for hours on end ranting and they will never try to solve you or your problems. A pet sitting there listening loves you and sometimes that is all you need. Pet ownership is good not only for people living alone, but for whole family systems. Pets become full members of the family in which lots of interaction swirls around children, parents and siblings as they compete to feed, love and care for the pet. So with a pet at home, this offers a distraction so that a tiny bit of anxiety doesn’t amplify to a big deal. Pet ownership can teach children the value of life in addition to providing them with some sort of responsibility of care and feeding. Having a pet at home means that there is someone waiting for you to come home and be with you when you are there. Having a pet can give one a sense of security and help with dealing with aloneness better. A pet can provide someone to talk to in order to ease your nerves. A pet there will mean that you are never alone. Having a pet can help us meet new people. With pet ownership, it requires responsibility and part of that is exercising your dog. While on walks you can make friends and hold conversations with other people. Pets are a great conversation starter, so with them, we can socialize. No matter what, pets offer unconditional love. Sometimes it feels like no one really likes you. But your pet will always be that person that is on your side. The benefits of pet ownership are many and they are very much an integral part of our lives. Because of this, we want them to live as long as possible. So it is important to take care of them. If you have any questions, please don’t hesitate to call us at 656-5868. Get free veterinary advice delivered to your inbox! Your pet is worth it!